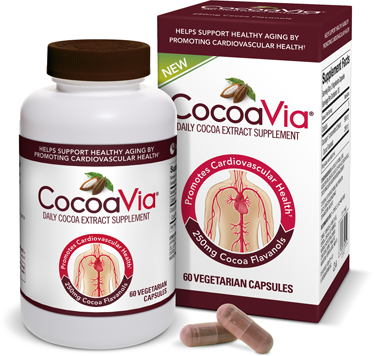 CocoaVia is owned by Mars, Inc, and specializes in cocoa flavonol concentrated products that come in capsules and drink mixes. Cocoa flavonols are incredibly healthy at standard doses, and there is evidence to suggest that the main flavonol, (-)-epicatechin, may even lead to strength and performance-enhancing qualities at high doses! You can read more on our epicatechin blog post above, titled Epicatechin: The Dark Force Behind Dark Chocolate. Sign up for future CocoaVia news! Click the button below to sign up for future CocoaVia news, deals, coupons, and reviews!